Japanese subjects cheer the Emperor upon news of the surrender of Singapore. 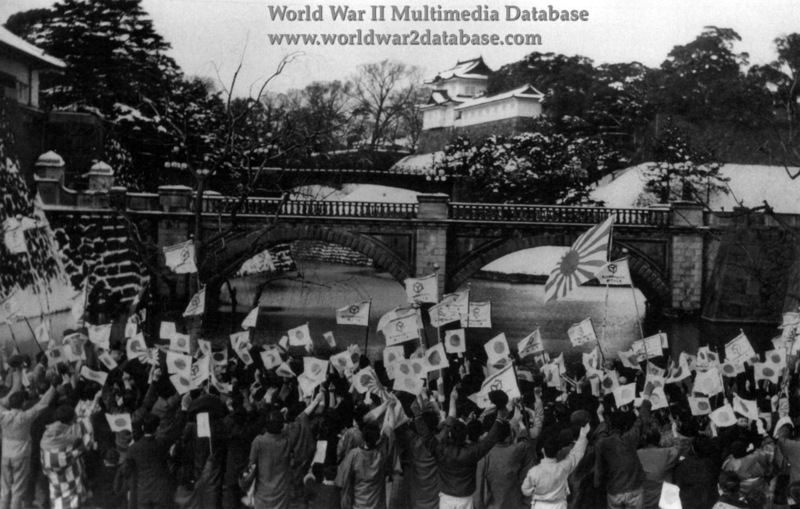 A crowd has gathered at the Nijubashi Bridge at the Imperial Palace a few days after the surrender. in 1937, a national Spiritual Mobilization Campaign was announced by Prime Minister Fumimaro Konoe. The Spiritual Mobilization Campaign and later the Taisei Yokusankai (Imperial Rule Assistance Association) staged national and local rallies for the public throughout the war. Much like the fall of France lulled the German public into a false sense of security that the war was ending, the fall of Singapore convinced many Japanese that the war would soon be over.